Bolts/Nuts/Washers long enough to space the fuel tank above the rear subframe/differential area. Depending on what type of fuel filter you use and which emissions equipment you have retained, you will need to mount this to ensure appropriate clearance of the rear bodywork. For the fuel filler, you can use the donor components and trim them down to your liking, or source a custom solution from Summit Racing/Speedway Motors/Jeg’s/similar. 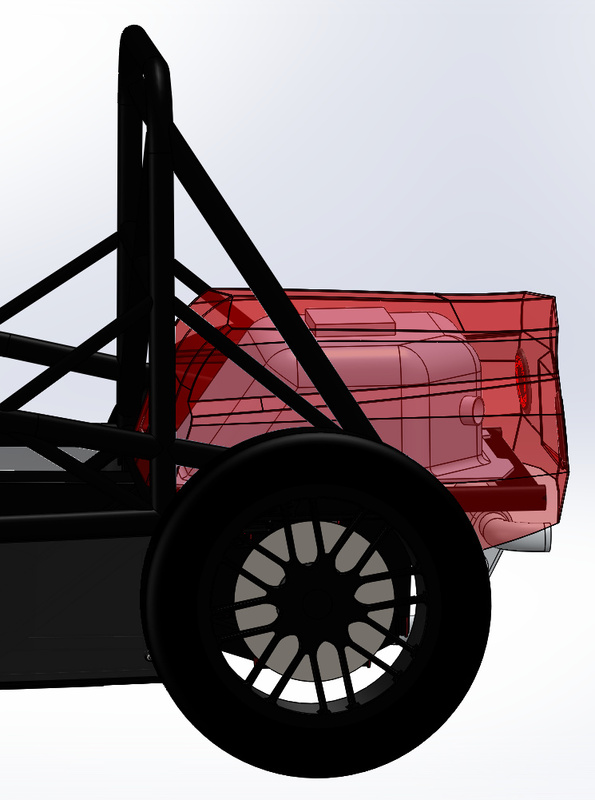 Due to the geometry of the bodywork, there are a few configurations possible. The height of the tank will dictate the bounds of the other dimensions. All these footprints are inside the rearmost frame tube, undefined units are inches. 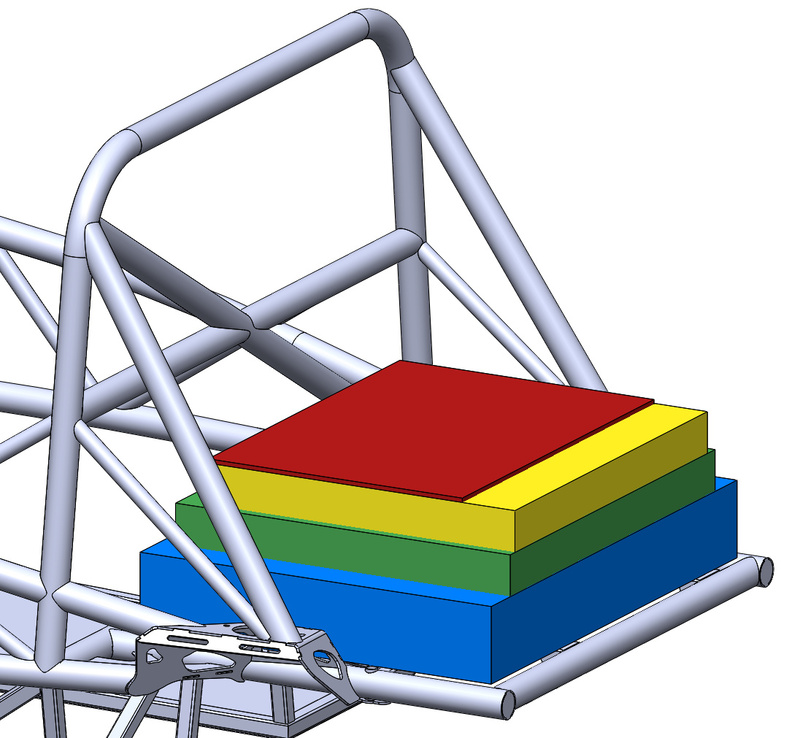 For the prisms, the capacity written is at least 1 gallon less than the volume of the prism to account for expansion room and the internals. The height is measured from the top of the round rear subframe mount tubes. There is about 1.5″-2.5″ more room between those tubes, depending on where you are measuring (the diff mounts come up a bit). This would make a good custom sump. The space available between the tubes is 29.25″ wide and 15.5″ long. 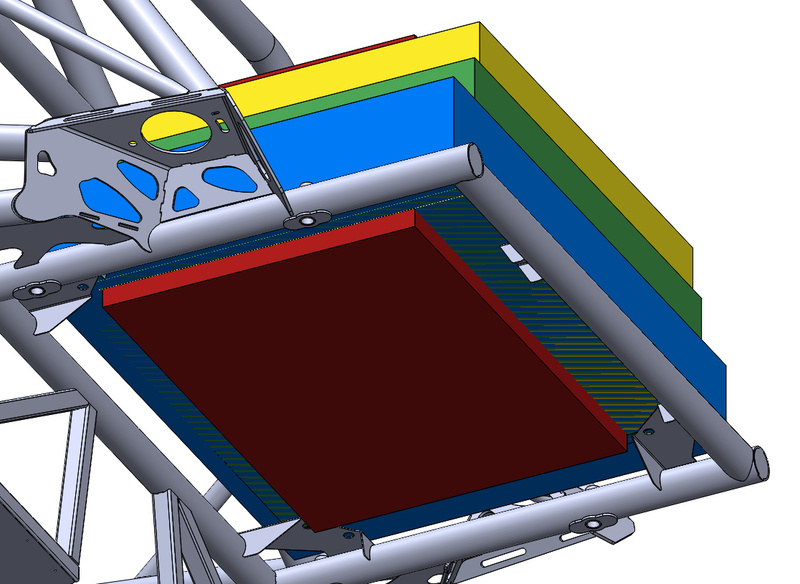 Just as in any car, the scope of fuel cell retrofit should include a safe and secure mounting method. If you hang it off the back, you may want to weld some reinforcement to the frame. The US bodywork is about 4″ longer than the old UK bodywork, so it is possible to add protective structure if you wish.